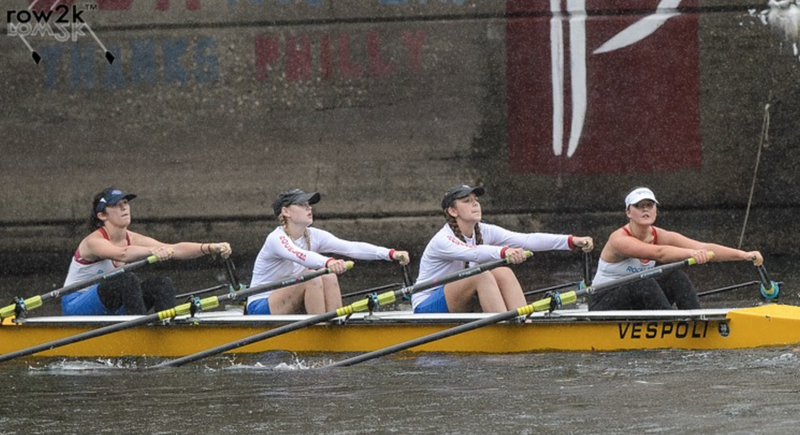 Schuylkill River, Philadelphia, PA. - The Rockland Rowing youth claimed gold in the boy's novice double sculls, bronze in the girl's varsity single sculls and a top-five finish in the girl's varsity double sculls to highlight the team's racing at the Head of the Schuylkill on Sunday. 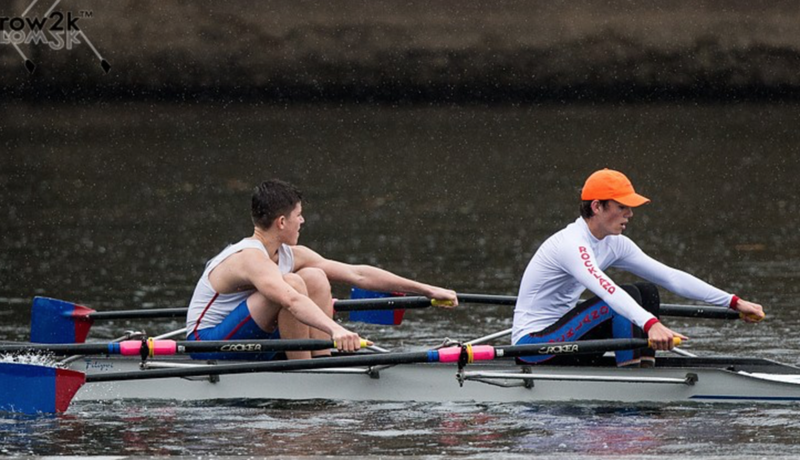 Competing in the boy's novice double sculls, Wilhelm McGinnis Nyack '19 (stroke) and Anthony Rostek Tappan Zee '20 (bow) rowed to victory turning in a time of 16:59.269 to defeat runner-up Steel City (17:02.442) and Malvern Prep who finished third (17:02.554) and fourth (17:02.755) in the 15-boat field. On the girl's side, competing in the varsity single sculls Gabriele Welp IHA '19 emerged in medal contention in the second half of the 2.5 mile head race and finished with a time of 17:55.529 in a 17-boat field, just about one second behind winner Steel City (17:54.173) and second-place Tredyfrinn Easttown (17:54.667). Welp (bow) raced for the second time later in the day. 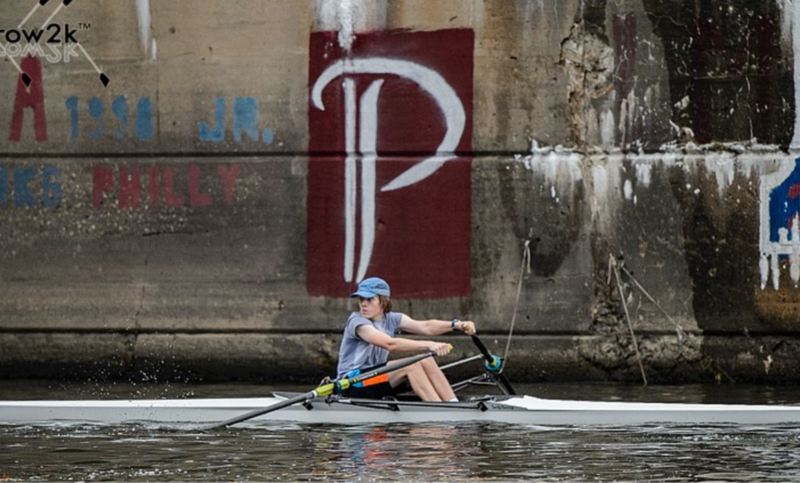 She partnered with Chloe Young Ridgewood '18 (stroke) in the varsity double sculls and the duo finished in fifth-place with a time of 17:30.569 in an event with more than 30 entries. The team also finished in the top half of the field in the girl's novice double sculls. Olivia De Maria Northern Highlands '20 (stroke) and Leyla Arcasoy IHA '20 (bow) recorded a seventh-place finish, crossing the line in 19:17.687. The event had 17 entries. "The team has a whole showed great development over the course of the season," said head coach Melissa Boyd. "It's been one of the best seasons at Rockland Rowing." The team will take their training indoors mid-month at the New York Sports Club to prepare for sprint racing in the spring season.